Trance! The mere mention of the genre has probably, already flooded your head with negative connotations. And not unfairly so: for every Vibrasphere or Digital Blonde toiling away in the underground there’re a dozen candy-floss purveyors comprising the genre’s public face; you’d have to be pretty dedicated to bother keeping up with anything that could accumulate such an abysmal strike-rate. It’d also be fair to say that Anjunabeats represents everything gone wrong with the genre. The British-based label may be named after the legendary Anjuna beach in Goa, India—site of many a tribal trance rave in the early ’90s—but it deals with the schmaltzy, debased strain of Euro-trance that has unfortunately dominated the scene for well over a decade. Perhaps arriving to save the label, and genre, from itself, Anjunadeep is an ancillary of Anjunabeats run by different folks and given over to a somewhat different musical palette. 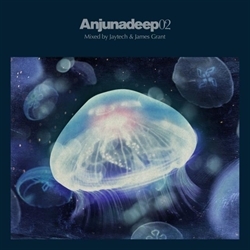 While the main Anjuna stable is operated by DJ and production trio Above & Beyond, and thus beset by their signature flavour of glowstick trance, Anjunadeep is managed by James Grant, who mines a much groovier house sound. Plenty of trance trademarks still familiarize the mix, but the genre’s worst crimes are tempered for an entirely more credible and mature iteration of the sound. 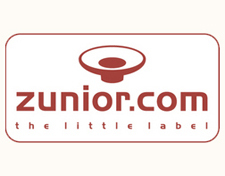 Consequently, DJs of the calibre of Laurent Garnier and Desyn Masiello, who are unlikely ever to play a straightforward trance record, have supported the label. The label’s first compilation was released last spring, mixed by Above & Beyond for no better reason than to attach a big name to the project and shift copies. As a showcase it was decent, housing a few killer cuts that made it into many a DJ’s set. It was also blighted by Above & Beyond’s DJing, which they have finally, inevitably elevated to an impeccably focused, potent level of dullness. Their staggeringly boring style is built around sets that go nowhere and transitions that are computer-perfect without an iota of risk in them. And thankfully, they’ve stepped aside for the sequel to allow James Grant a stab at the roster he’s carefully cultivated; Grant’s followed closely by Australian star Jaytech, the biggest name on the imprint by some distance. Two instantly obvious results occur from such a drastic personnel change: 1) the music is even less trance-y than before; sparkly arpeggios and melodic flourishes are diluted further by pieces of electro, tech, deeper house, and just a shade of the 80s synth influence Way Out West lathered over their latest album (Jody Wisternoff even has a track featured on the first disc); and 2) the DJing feels far less plastic. Rather than come off like a playlist of tracks put on random and sent through a digital mixing program, each disc has a flow, a development, a direction. There’s still nothing so much as a beatmatching or phrasing error in earshot, but there are occasional moments where an element will come in a shade too loudly or will sit over the outgoing track with a too-forceful weight, lingering. 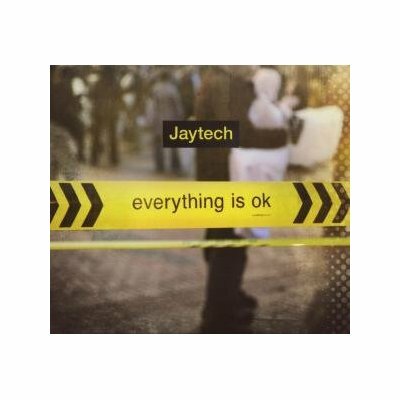 Where Above & Beyond play drearily safe with rote bass line switches, Grant and Jaytech are prepared to compromise pristine EQing for something, anything more interesting. James Grant lays down a strong claim to having the better disc of the two, its superiority lying mainly in its clearer structure, which is predicated on two purpose-built collaborative productions between Grant and Jaytech. Opener “Moth” sets the warm house-friendly tip of the opening three or so tracks, and from there it moves through a main body sprinkled with summery melodies from the likes of Paul Keeley and Michael Cassette to the most obvious anthem, the exclusive 2010 remix of BT’s “Flaming June.” BT’s track is one of the all-time trance classics from that mid-‘90s era when being an “all-time trance classic” still mattered, and the distinctive melody is instantly recognisable to any fan of the genre. Of course, remixes of tracks from a much older, considerably better era are especially common in trance, an implicit admission that the best days are long since past, and such remixes are rarely worth hearing. This version isn’t close to the original—most of BT’s lovely piano work is binned and the main melody is only transcribed onto a fairly routine Anjunadeep track—but that spark of recognition as those memorable notes first emerge makes it the obvious peak of the set. Jaytech’s disc is slightly weaker; the Australian takes it upon himself to represent the darker, bassier, and more electro-edged side of the Anjunadeep coin, notching up the tempo in gradual increments and slotting in a couple of his own productions along the way. While it’s still an engaging workout that could make one long for a dancefloor context, Jaytech’s disc is marred by the DJ having, for whatever reason, less to work with. The exclusive productions were already used up on Grant’s disc, maybe, and, sadly, there’s nothing quite on par with the killer cuts A&B were able to misuse a year ago. This lack of ammunition prevents Anjunadeep 2 from becoming something genuinely special, but it’s still a marked improvement over last year’s entry, and a worthwhile listen for those who never thought they could stomach trance ever again.